Rancho Cucamonga, California family, divorce and custody law firm: The Law Offices of Dan Peelman, PC has been representing clients in family law cases across Southern California for more than 20 years. Family law attorney Dan Peelman can help you with the following: -Divorce -Custody -Visitation -Support -Paternity -Restraining orders -Adoptions -Guardianship Winning litigator and zealous advocate fights for your rights: Dan Peelman has a reputation for winning clients' cases and doing so in the most cost-efficient and effective manner. He earned his law degree from the University Of LaVerne and his master's degree from USC. 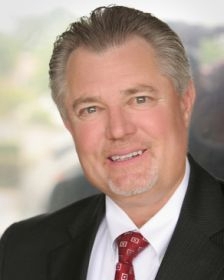 A former president of the East-West Family Law Bar and a retired LAPD officer, he decided to start his own law firm, the Law Offices of Dan Peelman, in 1993. Attorney Peelman has also been a family law judge pro tem. The Law Offices of Dan Peelman, PC provides clients with quality legal counsel in a wide variety of legal matters throughout Southern California. From straightforward legal matters to serious litigation, attorney Peelman uses his knowledge, skills and experience to successfully guide you through the complexity of the California judicial system. Dan Peelman is committed to communicating clearly with you about your case and returns phone calls, e-mails and faxes as promptly as possible. He never misses a legal deadline. His goal is to provide you with exceptional, courteous service in your time of need. Full-service Family Law Firm in Rancho Cucamonga. Whether anticipating the joys of adoption or experiencing the frustrations of divorce, you need a competent, assertive California attorney by your side when facing important family issues. The Law Offices of Dan Peelman, PC zealously advocates for your rights and provides protection for your family during all family law proceedings, including: -Step-Parent Adoption -Alimony -Child Custody and Visitation -Child Support -Divorce -Mediation -Pre- and post-nuptial agreements -Child Support Modification and Enforcement Step- Parent Adoption: Adopting a child brings happiness to families - but a biological parent's change of heart or an immigration fiasco can turn the joyous occasion into a nightmare. Family law attorney Dan Peelman assists with the complex legal process of adoptions so you can feel secure about your child's well being. Alimony: Divorce should not lead to a financial crisis. The Law Offices of Dan Peelman, PC helps you obtain the spousal support you deserve, or only pay the spousal support that is required so you can continue to live as you did during the marriage. Child Custody and Visitation: Dan Peelman aggressively advocates for your parental rights so you can raise your children in a fit and healthy home. Child Support: Parents share the responsibility of supporting their child. The Law Offices of Dan Peelman advocates for a fair division of financial support between the parents so that the child can have a healthy, happy upbringing. Child Support Modification and Enforcement: Child support payments do not change unless the court modifies the child support order. If either parent experiences a significant change in circumstances, attorney Peelman can guide you through the proper legal procedures to modify your child support payments accordingly and have the order enforced. Divorce: Through mediation or litigation, our divorce law firm fights for your rights to get the best possible settlement or judgment - including your fair share of assets, division of the marital home, child custody and support orders. Mediation: Mediation puts the decisions in your hands, and can provide more expedient, predictable results than trial. The skilled negotiators at the Law Offices of Dan Peelman, PC can help you obtain the best possible divorce settlement. Pre- and Post-nuptial agreements: Love can blind you to the potential for financial loss if the marriage fails. Dan Peelman expects the unexpected and drafts agreements that protect both spouses' financial interests.